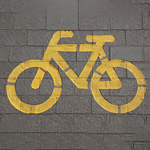 Whether you drive a car or a bicycle, your safety is important to us. Every year there seem to be more bike-related traffic accidents. We would like to offer you some helpful tips on how bicyclists and motorists can share the road and each reach their destinations safely. Safety should always come first. Here are some tips. Always signal when switching lanes and allow sufficient room. Bicyclists should wear helmets and use front and rear lights. Always obey traffic lights and signs, whether on bike or in car. Be alert and aware of surroundings at all times. If you’re in the need of automotive services, biking supplies or would like to check out our selection of vehicles, come to our dealership. While you’re here, we’d love to invite you to take your favorite vehicle out for a test drive.